Who would have thought that a classic job that was killed by the Internet could make such a great video game? Before everyone was logging on to their desktops or swiping on their screens for the latest news, paperboys filled the essential task of delivering daily news to most of the people in the developed world. 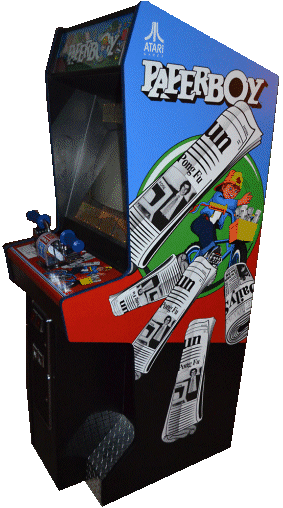 Whether by bike or via car, newspaper delivery was a profession all of its own and, eventually, the subject of a 1985 arcade game from Atari Games. A smash success upon release, the title would eventually see ports to today’s smartphones but is most fondly remembered for its arcade and NES versions. Atari, long the master of early arcade games, released Paperboy to widespread acclaim for its graphics, sound, and gameplay. 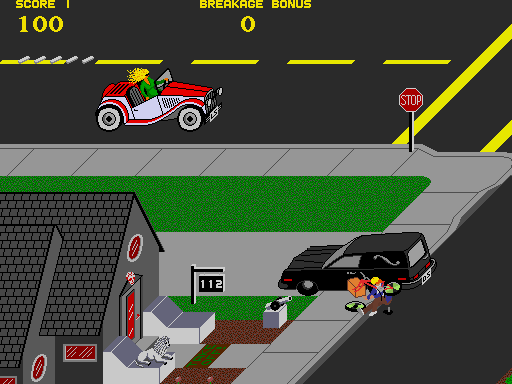 Using the Atari System II arcade board, Paperboy was detailed and fast moving, a marked change from the more primitive offerings Atari put out in the past. Also one of the first games to feature a three-level difficult system, Paperboy is a very easy game to understand in concept but tough to master. Consisting of jaunts down suburban roads, as the titular paperboy you have to deliver a week’s worth of papers without running into objects or failing to deliver the paper. In its mechanics it mirrors titles like Pac Man and Space Invaders in that it combines obstacle avoidance and projectile targeting in one game. Since the paperboy only needs to deliver the news to homes that have subscribed to the paper, part of the game’s difficulty comes from avoiding things coming your way while also correctly identifying subscriber’s houses and delivering the paper. In early arcade versions this was a bit easier than on some ports of the game as subscriber houses would typically be alight or featured brighter colours than the somewhat relatively shabby homes of non-subscribers. In terms of its impact on the arcade scene Paperboy was one of the first games, along with Space Invaders and Pac Man, that truly illustrated the power of the arcade to spur home console sales. A veritable success in the arcades, Paperboy was no less so when it arrived to the home consoles. Unlike previous arcade ports, most Paperboy conversions were quite true to the arcade original, almost distilling the experience of a smoky gaming centre right into your own home. Of course, this would later become the norm as gaming hardware caught up with the arcades but it was a rare thing back during Paperboy’s release. After all, one of the most critical ports of all time, Pac Man to the Atari 2600, resulted in a game that is vaguely like Pac Man but would never be mistaken for the original game. 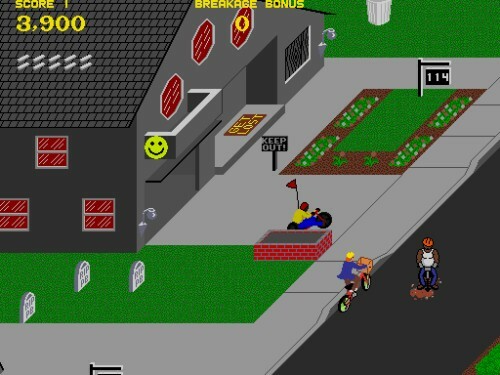 Paperboy, however, helped usher in the era that we find ourselves in today and that is the era of the arcade-to-home conversion that is just as good as its quarter-eating older brother. Tight gameplay, excellent graphics, and a slew of quality ports across every format make Paperboy a true pillar of the arcade hall of fame.